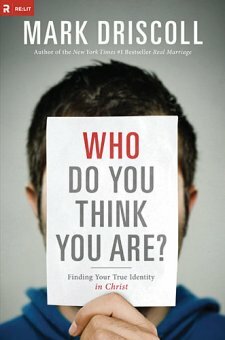 Who Do You Think You Are: Finding Your True Identity in Christ by Mark Driscoll is essentially a study of Paul's letter to the Ephesians. As the subtitle suggests, it's about understanding our identity in Christ and each chapter focuses on a different aspect of our identity. He starts each chapter with a story and uses scripture to help the reader understand that we are in Christ, saints, blessed, saved, reconciled, afflicted, gifted, forgiven, loved, victorious, etc. This book captivated me from the first chapter. Mark is very direct, his message comes through strong and clear and his words are thought-provoking. Yes, the book is fairly theological, but not to the point where it's difficult to understand. It helped me to better understand my position in Christ and that my identity is not shaped by the things I do, but rather that understanding my identity will shape the things I do. The setup of this book is great. Mark references a lot of scripture, but he puts the references in footnotes, so it doesn't clutter the pages. Notes and references at the end of the book allow you to dig deeper into things without them being distracting. This makes it easy for someone to simply read through or study on a deeper level. There were some theological points I didn't quite agree with, but nothing that would hinder me from recommending the book to others. I would definitely encourage all Christians to read it, and keep a notebook and pen handy so you can learn as much as possible. This could be a great tool to help Christians understand their identity and live victorious lives. I received a free copy of this book from the publisher through Booksneeze.com. I was not required to write a positive review and the views expressed are my own.